Special Week came from way back to cross the line ahead of... someone in front of her. She didn't win, though. 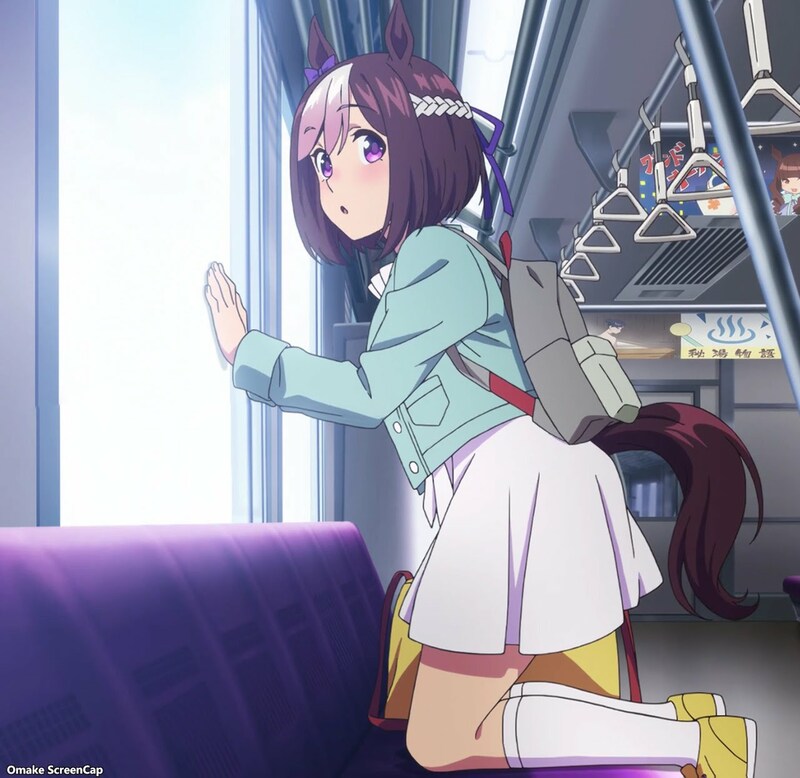 Reading from right to left, you can see where horse girls come from. Racehorses from another world (ours presumably) have their names bestowed on special baby girls who become horse girls. 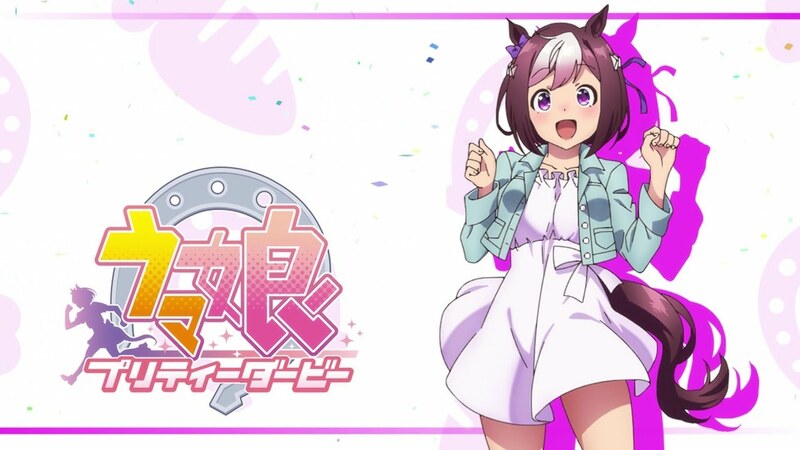 PA Works loves genki girls as their heroines and Special Week (racehorse name!) is no different as she helps promote the Japanese horse racing industry... 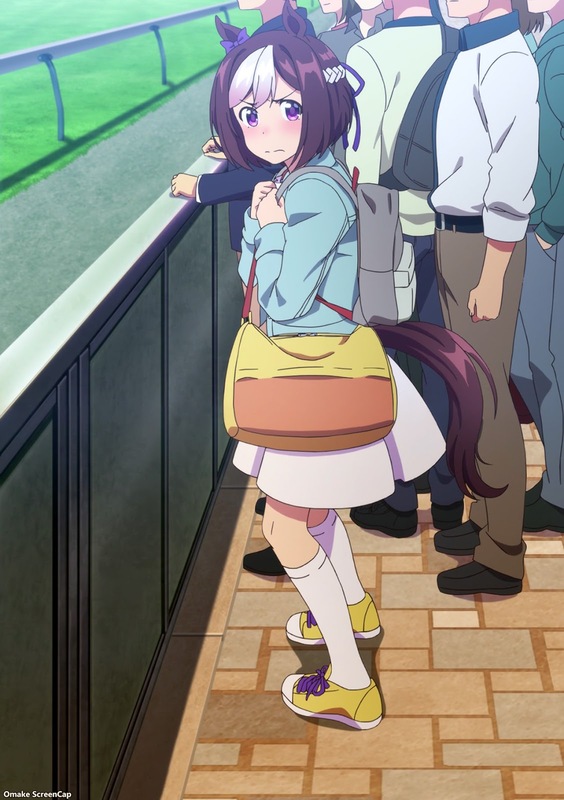 I mean, as she does her best to become the "Best Horse in Japan." The racetrack offers its share of sights and sounds and perverts. Oh, he's just a touchy-feely trainer who loves feeling horse muscles. Also, the podium winners have to do a little concert as part of their winners' circle presentation. This is anime after all. 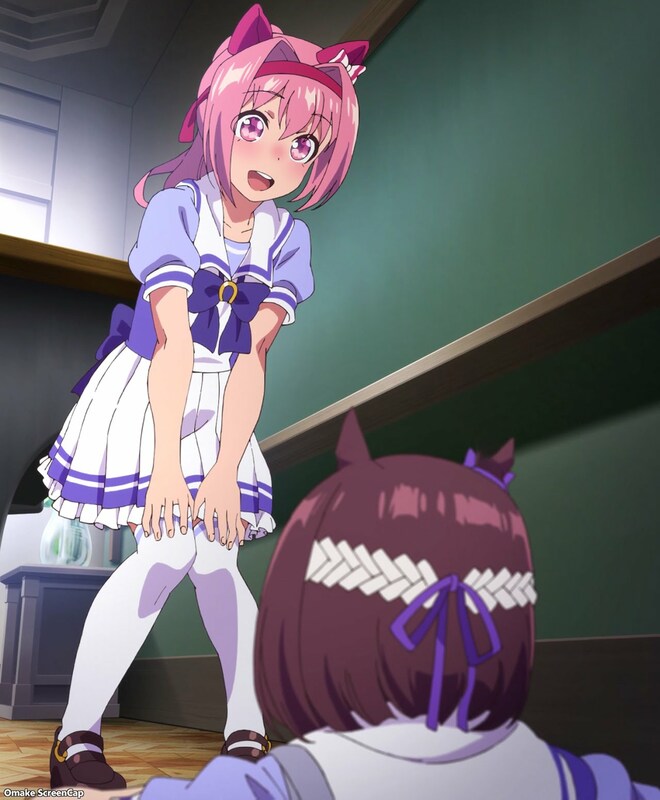 These eye catches are cute and they should show off a different horse girl each week. Special Week is up first! Obviously there's going to be an all girl school for these horse daughters, but I suppose it's more like a vocational school. Special Week's first friend is the short and slow Haru Urara. Each trainer at the school has their own "team" or stable of horses. 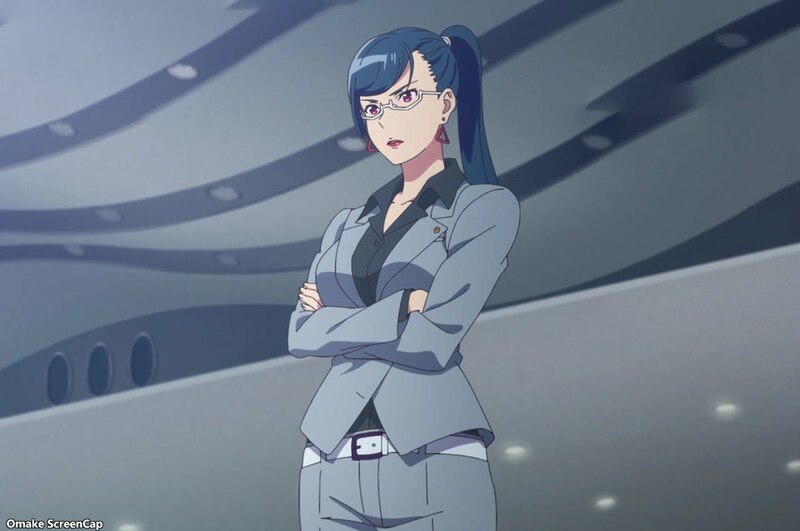 Special Week was kidnapped, her, recruited into Team Spica run by that pervert, er, touchy-feely trainer we saw earlier. 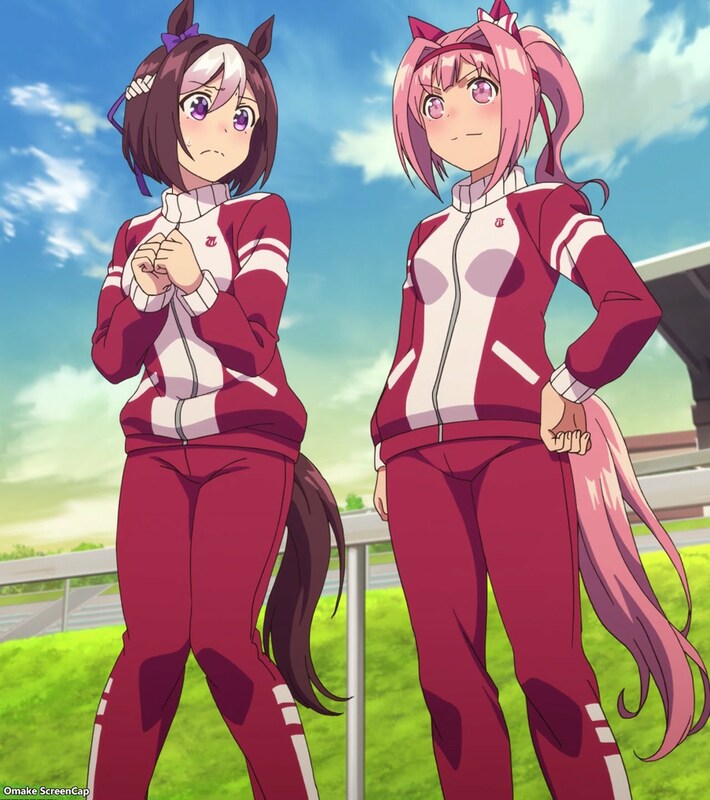 Also, Silence Suzuka, the horse girl Special Week saw win at the track just transferred over too. The opening credits were placed at the end for the premier. It looks like Team Spica and Team Rigil are going to be rivals.